As far as we're concerned, smoky eye makeup was practically made for autumn and winter wear. Soft and diffused shadow is a little bit dark and a little bit mysterious, which is right in line with the mood of the cold-weather months. Plus, it pairs perfectly well with cold-weather clothes (i.e., the layers of sweaters, jackets, socks, and boots that are slowly moving their way to the forefront of our closets). Actually, now that we think about it, therein lies the true power of this makeup look. No matter how many frumpy layers we don in order to keep the icy winds at bay, a smoky eye still makes us look and feel like the badass we've always wanted to be. Seeing as it's now that time of year, we thought we'd catch up on some of our beauty shopping, by rounding up our favorite smoky eye palettes. These are the ones that made our 2018 autumn beauty list—the ones we're drooling over, whether that's in Sephora, the drugstore, or the department store. Keep scrolling to see the 13 best smoky eye palettes for fall. If you're an avid follower of beauty news, you may have heard that Urban Decay recently discontinued its iconic original Naked Palette ($27). Hot on the heels of that announcement, Urban Decay revealed something else: It would be releasing a new Naked palette, called the Naked Cherry Palette. 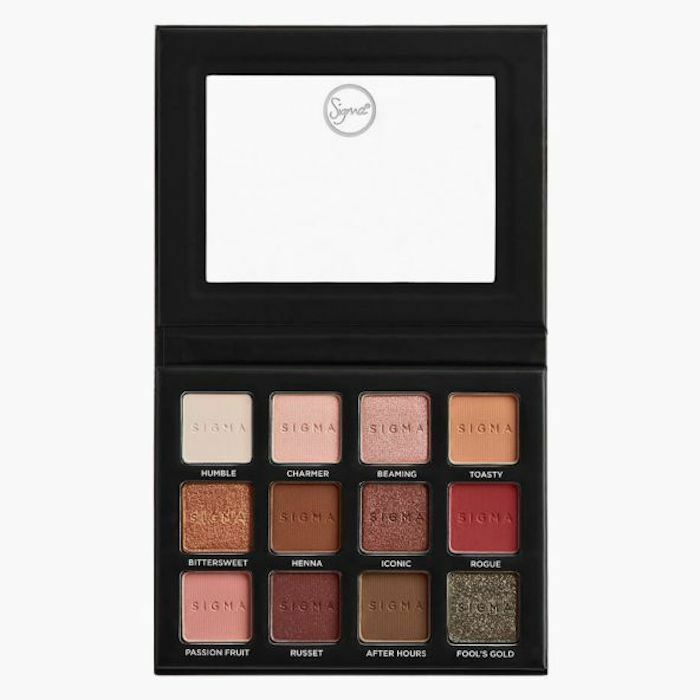 It consists of 12 pressed powders in varying shades of taupe, chocolate brown, and pinkish red. 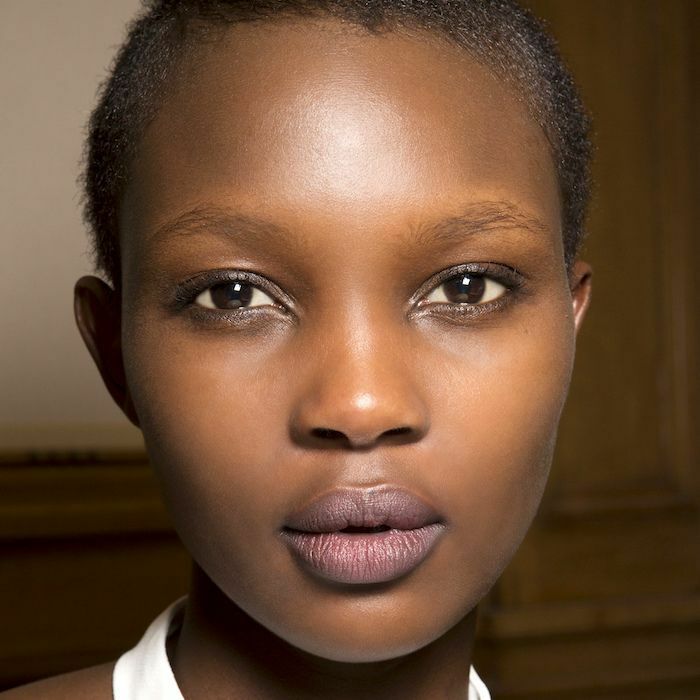 It's right on trend, and like its forebearer, it will go on to create some seriously stunning smoky eyes. 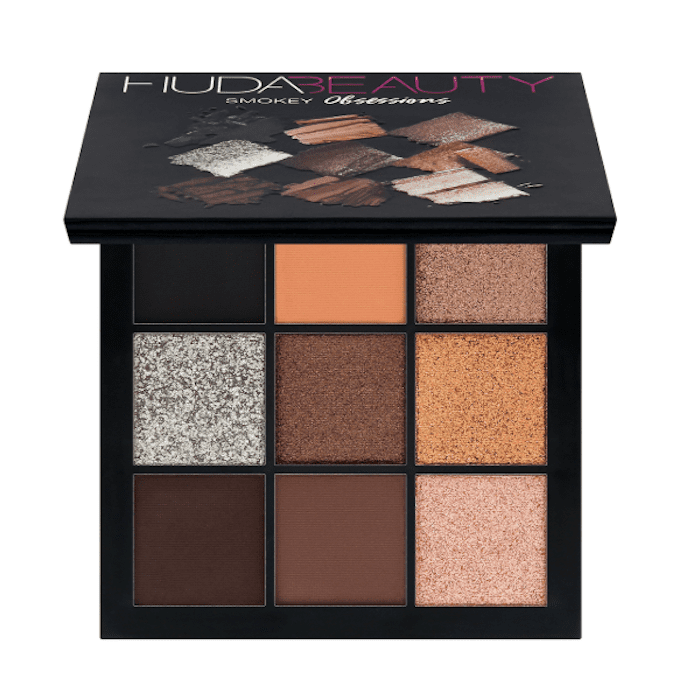 Huda Beauty's Smokey Palette contains nine pressed powders, five of which are metallic shimmers while the other four are matte shades. The mix of black and brown tones means you can create a subtle smoky eye fit for the office or a striking smoky eye fit for dinner and drinks. We would happily reach for any Pat McGrath palette when attempting to master a smoky eye look, although lately, we've had a particularly passionate love affair with this one, called the Bronze Seduction Palette (we're suckers when it comes to bronze, gold, and copper). Yes, it's expensive, but the 10 ultra-pigmented shadows are the real deal. Take it from one Sephora reviewer who wrote, "This is exactly what you'd expect from a PMG eye palette: fantastic pigmentation, creamy formulations with virtually no fallout (even in the glitter shades), and impeccable presentation. I love the color range, which is surprising wearable with my light-medium, neutral-yellow completion." As far as budget-friendly makeup palettes go, Sleek MakeUp is one of the best brands I've found hiding out among the drugstore shelves. Although there a few different versions of this palette worthy of creating a good smoky eye, I have to give a special shoutout to the one called Goodnight Darling for its genius combination of cool-toned plum and green shades. 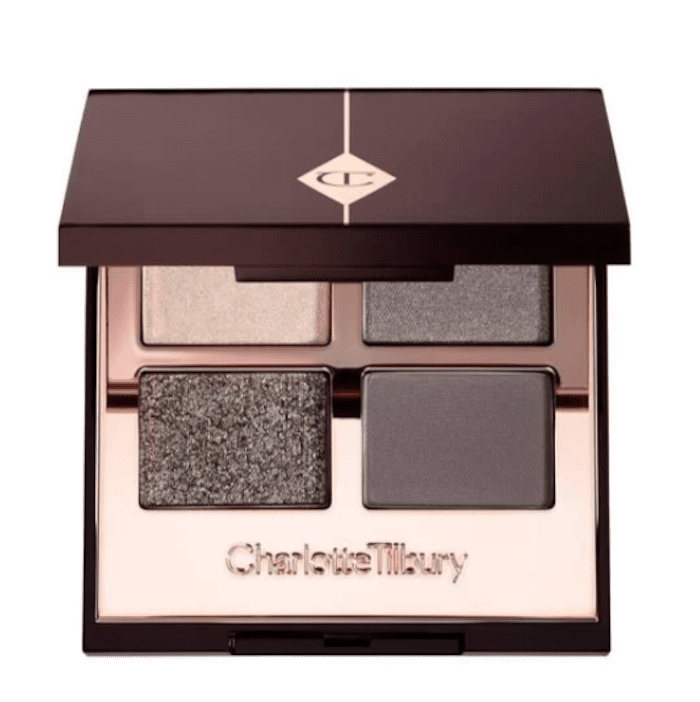 For a no-fuss, cool-toned smoky eye look, we recommend reaching for this Charlotte Tilbury quad palette, which contains four pressed powders: Prime, Enhance, Smoke, and Pop. Use the Prime shade to create an even base. Move on to the Enhance shade to add definition, then the Smoke shade to achieve the diffused and blended look. Finally, apply the shimmery Pop shade onto the center of the eyelid for dimension and brightness. Like we said, it's no-fuss; instead, it's fail-safe. To me, Milani is probably the single most underrated drugstore brand I can possibly think of. I've tried various products from the brand, and I have yet to find one that I didn't love (the lipsticks are particularly amazing). 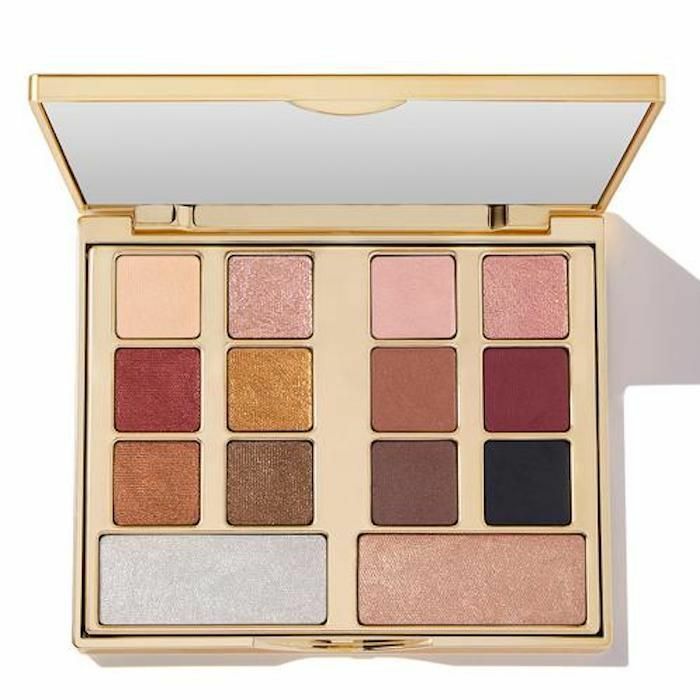 The same goes for this Gilded Desires Palette, which is exclusive to Ulta. The combination of rich metallics and inky matte shades make it a perfect smoky eye palette. 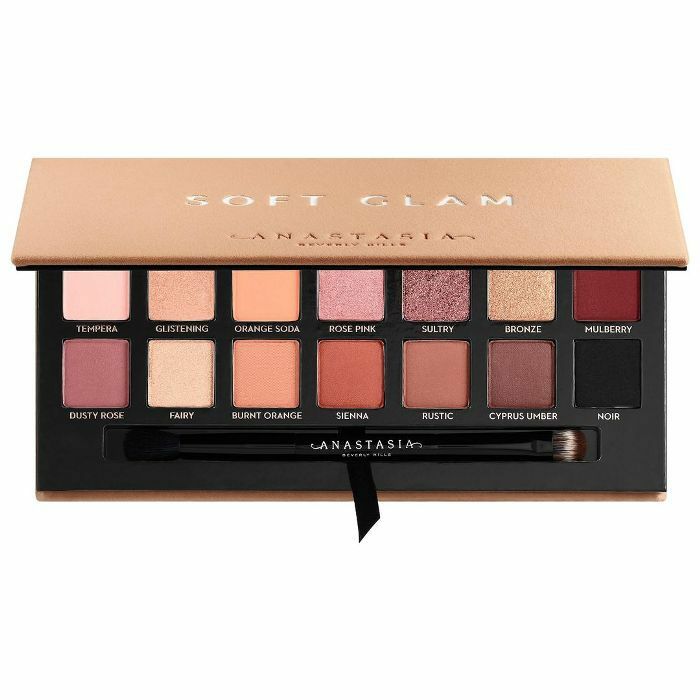 Byrdie's features editor, Amanda, names this warm rosy-brown palette as one of her five favorite beauty products of all time. 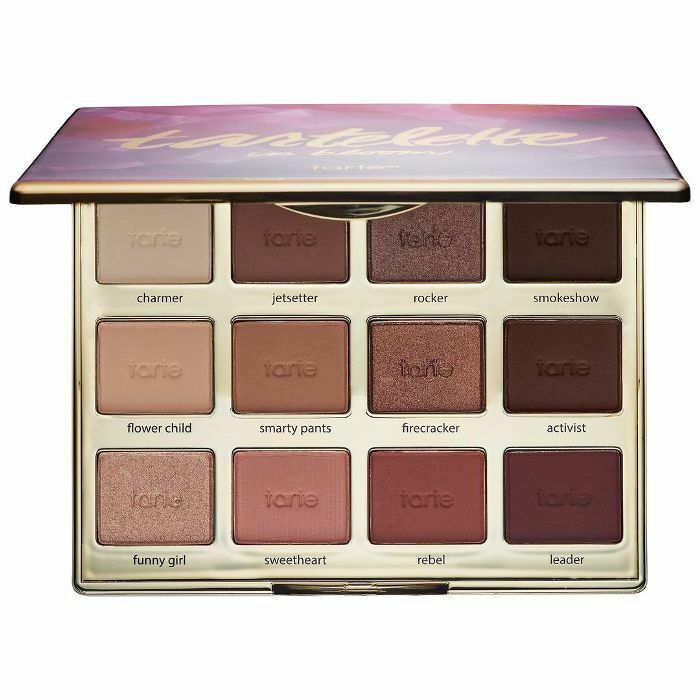 It comes complete with 12 matte and micro-shimmer shades that run the gamut from soft sandy beige to dark chocolate and berry red. Personally, I prefer subtle smoky eyes—those that are soft and diffused instead of bold and jarring. That's why this Anastasia Beverly Hills palette is one of my all-time favorites. It contains just enough smoky shades, along with just enough light shimmers, to create something that's super dimensional. For only $18, this smoky-eye palette can create a wide range of looks, from subtle to bold, neutral to bright, and back again. It also happens to have great reviews. 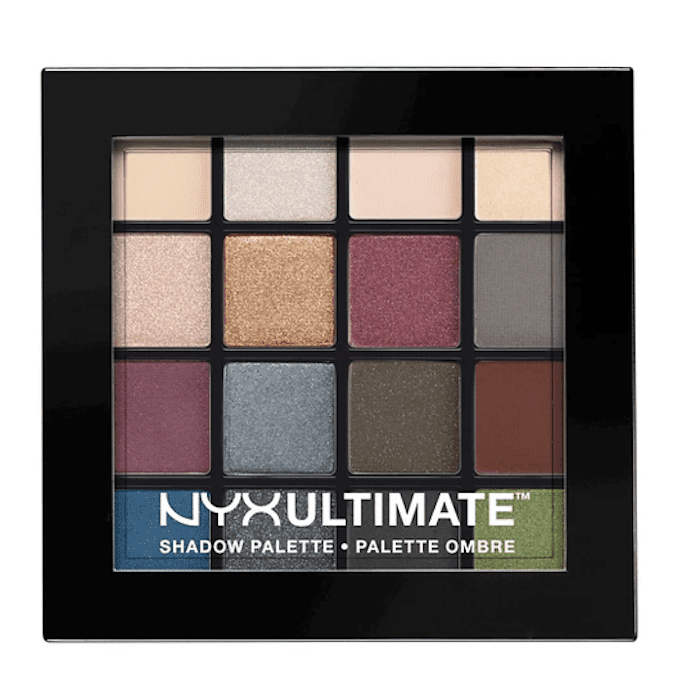 Take it from one Target customer who gushed, "I just recently bought this product at a Nyx store and for a girl who loves color this is where it's at. It has all the colors you need to create about any colorful eye look you want. The color pay off is GREAT and is at such an affordable price." Bh Cosmetics creates some surprisingly high-quality products for such a low price point. (I, for one, have been a big fan of the brand's synthetic brushes for years.) 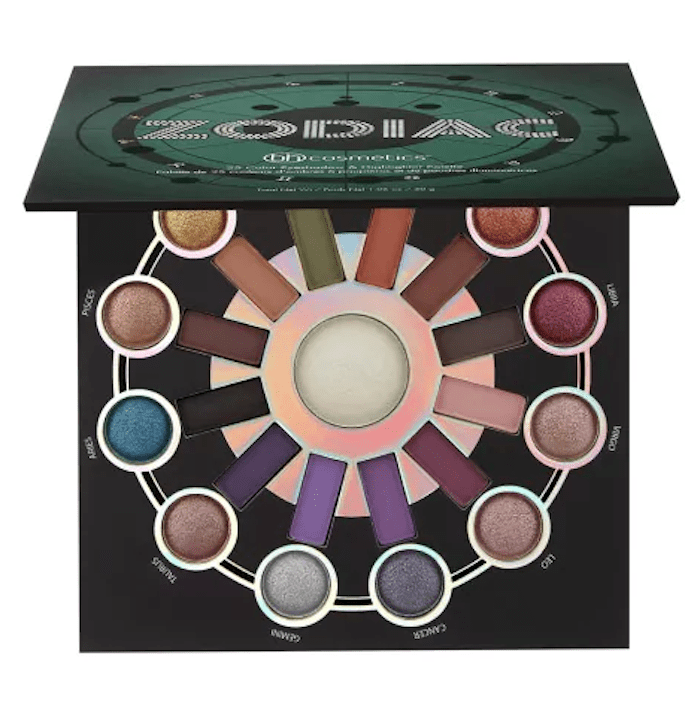 This massive eye palette is currently on sale for $12, which is almost unheard of, especially when you consider that it contains 25 shadows (some of which can double as highlighter). It's inspired by astrological signs, which gives it an extra fun and personable flair. Sigma's Warm Neutrals Volume 2 Palette is one of the brand's best sellers for a reason. 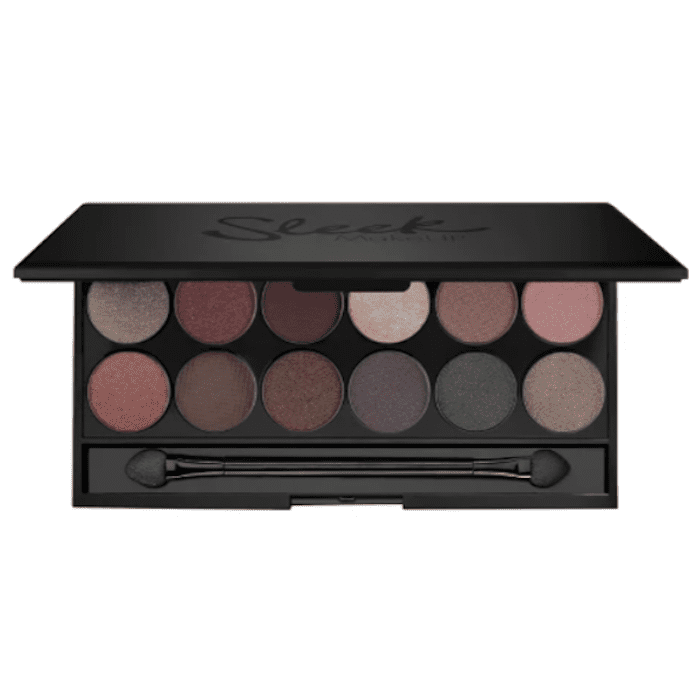 It combines 12 silky shadows in matte, shimmer, and glitter finishes. The warm browns, golds, pinks, and reds allow for endless takes on a smoky eye. It's honestly one of the best combinations of color I've ever found in a single palette. 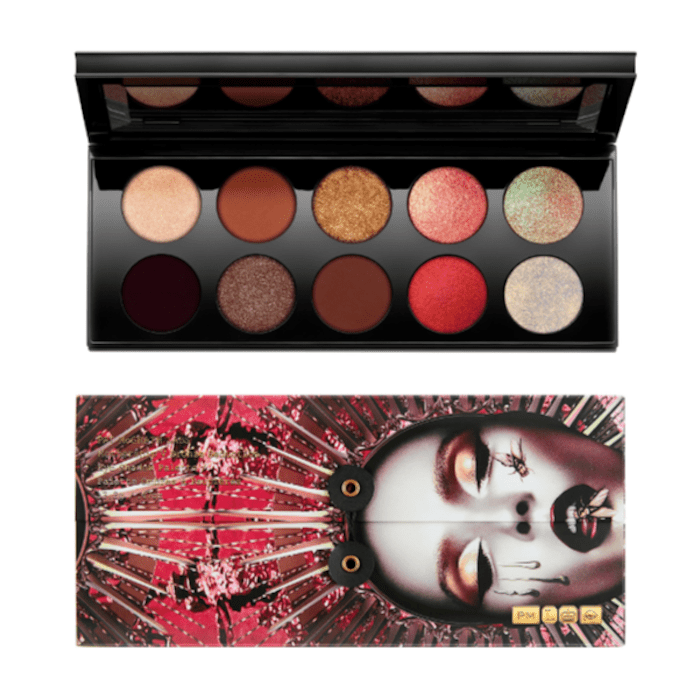 If it's the traditional and striking look you prefer, reach for this palette from Circa, which is basically the eye makeup equivalent of a Yves Saint Laurent show. That is, dark, bold, silvery, and dramatic. Although it's not sold online, you can head into your nearest Walgreens to pick it up IRL. 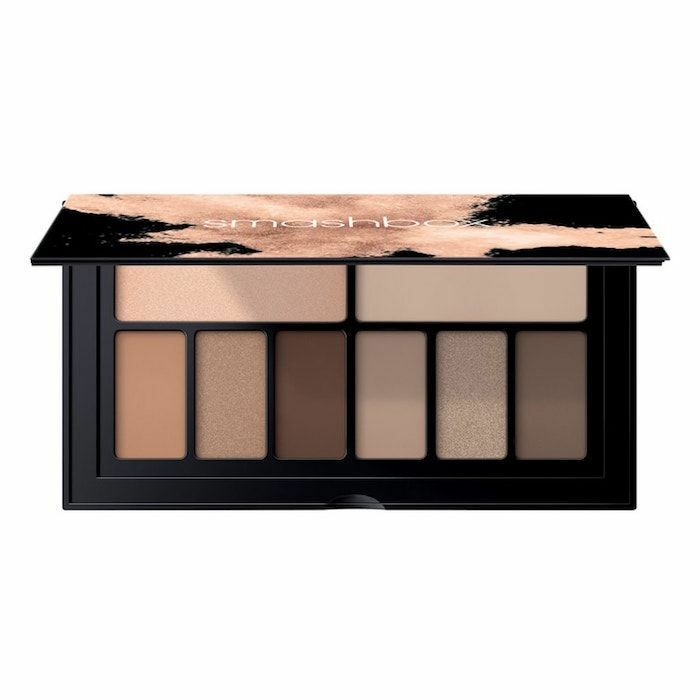 For all your basic brown smoky-eye needs, try this Smashbox Cover Shot Palette, which is aptly named the Minimalist. It covers all the basics, containing eight pressed powders that range from cool-toned taupe to warm-toned ochre. Layer them for a bold autumnal look, or keep them sheer and blended for a subtler smoky look. Speaking of subtle smoky eyes, next we suggest checking out eight celeb smoky-eye looks that are perfect for people who believe less is more (trust us—they're truly gorgeous).